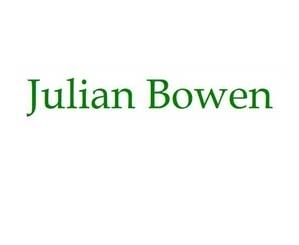 Julian Bowen are the UK's largest furniture supplier. This famous brand was named 'Furniture Wholesaler of the Year' in 2012, 2013, 2014 and 2015, and the quality and style of their collections easily explains these prestigious awards! Julian Bowen offer a massive selection of beds, be they bedframes, bunk beds, wooden beds, metal beds. There is also a massive range of furniture, including tables, chairs, wardrobes and much, much more. The Julian Bowen collection offers something for everyone, whether it be a Solid Oak Kingsize Bedstead, or an affordable Bunk Bed built to last. Our most popular items in the collection are the Julian Bowen Cameo range, the Minuet Collection or the excellent range of Julian Bowen bedsteads. Julian Bowen is a hugely popular furniture supplier, voted "UK's Number 1 Furniture Wholesaler" an incredible 6 times in the last 10 years! The range of furniture offered by Julian Bowen is huge, and growing. Whether you're after table and chairs, or a dining table, or a bed frame, Julian Bowen will have something for you and at a price you won't believe! We try to offer a super-quick turn around on all items, usually quoting less than 1 week from ordering to the day of delivery. We deliver for FREE and we also offer a price match promise - if you see a better price anywhere else, we'll beat it by £5!